He lives in Maputo, the capital city of Mozambique, where, along with other friends, he founded the ”Luarte cultural and theatrical Associaçao “, of which today he is the coordinator and manager, and where he works as a director and actor. He is fluent in Portuguese, he speaks a little English and he has an extraordinary magnetism on stage. 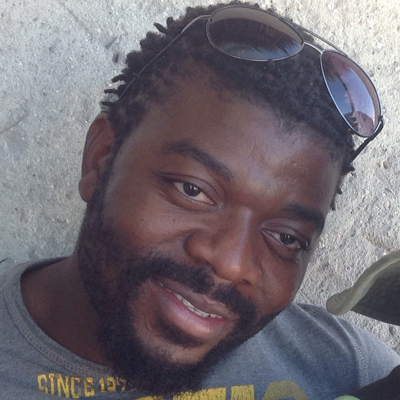 He has experience in working abroad and he has already collaborated with the Italian cooperation in Mozambique, in particular by participating in the making of the film “Maputo, low budget dream” by Mario Martinazzi, shown at the ” Terra di tutti i film Festival” in Bologna on 12 October , 2014.